Every autumn I have a recurring daydream… the dream goes that I’m birding the ‘dead pines’ walk on The Garrison on Scilly. The tail end of a hurricane has battered the islands for two days but now the sun is out and the birds are busy feeding up. A Blackcap is tacking and a couple of territorial (European) Robins are tic-tic ticking but then I hear a high pitched sip. It’s unfamiliar but soon I glimpse a bright yellow throat on a bird as it moves through the pines feeding. Bright yellow super, two big white wing-bars and I’ve bagged myself Britain’s first twitchable Blackburnian Warbler. Mayhem ensues and I dine out on it, literally, all week in The Scillonian Club. The reality is I’m more likely to find a dull greenish-grey bird that stumps me. Is it a Blackpoll Warbler, Bay-breasted or Pine? I’m not sure, I can’t realistically take out every field guide going along with my bins, scope, camera etc so all I have is my phone. Knowing I have to sort this out before I make a fool of myself, oh I learned the hard way on Shetland. Buoyed by finding a Swainson’s Thrush I got cocky. Yes that Grasshopper Warbler had pale tips but a Pallas’s Grasshopper Warbler that doesn’t always make. So, I need to sort this. The Warbler Guide, see my review here, would be useful now. If only there was an app… with those calls. Well soon there will be. 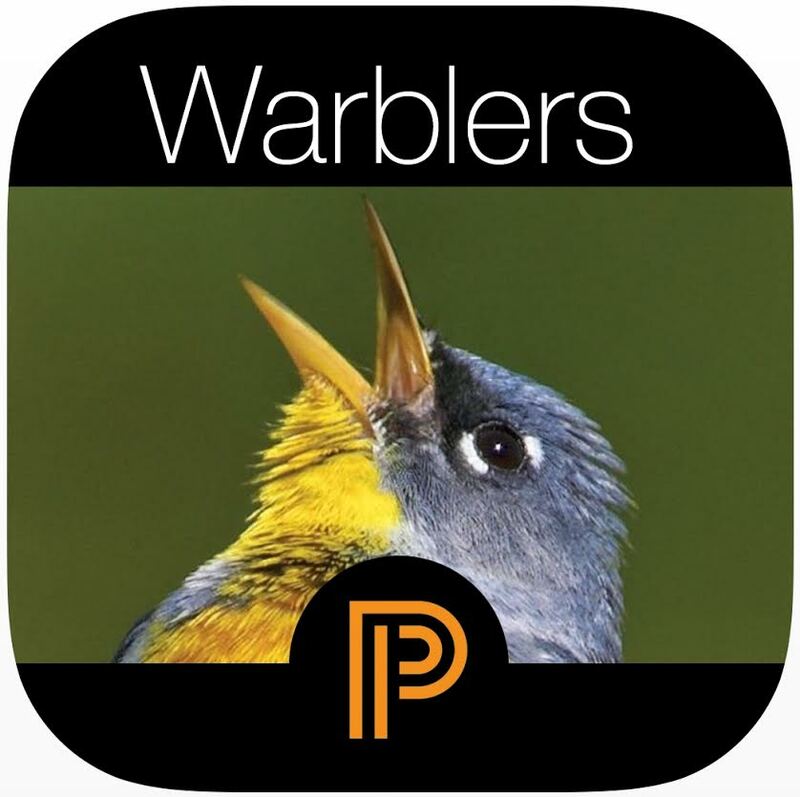 Due for release in early 2015 The Warbler Guide App will be a major boost for the UK rarity hunter (I’m sure it will also be a major boost for birders at Magee Marsh or Point Pelee in Spring too or a lone UK birder in British Columbia (me)). Calls are also something that we birders find very useful as I alluded to earlier. As I walk along with non-birders they are often surprised when I mention a bird without apparently looking… “how did you know that?” they ask and it’s often difficult to say by the call as they might not even have heard. Redwing at night is one that often gets non-birders and me as we walk back from the pub. The Warbler Guide did a great job at explaining sonograms and calls but now we are going to be able to put the song or call to the picture that can only increase our learning. The person who knows everything is usually the one who knows least. birding is all about learning. I can’t wait to load the app and get using it and I will be posting a full review in due course. Meantimes you can keep following the blog tour by visiting Warbler Watch tomorrow for a Q&A with Tom and Scott. 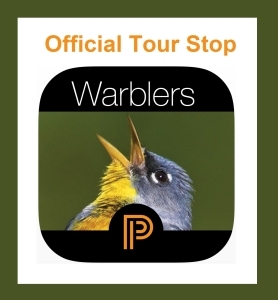 This entry was posted in Apps, Books, iPad, iPhone 5S and tagged iPhone, North America, Princeton, Princeton University Press, Scott Whittle, Smartphone, The Warbler Guide, The Warbler Guide App, Tom Stephenson, Warblers. Bookmark the permalink.